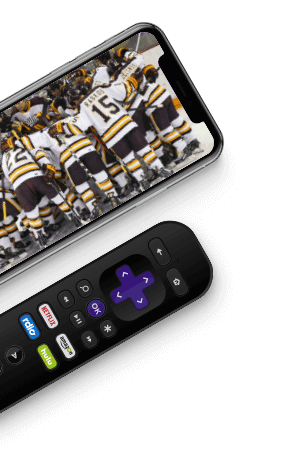 The National Collegiate Hockey Conference (NCHC), partnering with NeuLion College, has delivered NCHC.tv, the first fully integrated digital video network offered by a single-sport, NCAA conference. 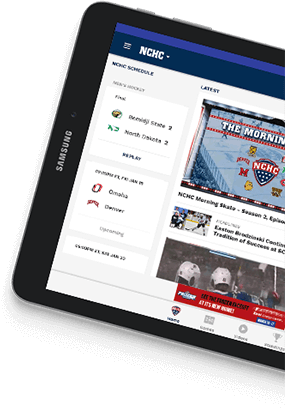 NCHC.tv is a comprehensive direct-to-consumer digital video network, providing content from the leading conference in NCAA college hockey. The platform includes an easy-to-navigate interface, allowing fans to easily access live games, exclusive video-on-demand, social & news feeds, and much more. NCHC.tv delivers over 140 live games throughout the season covering all 8 member schools. 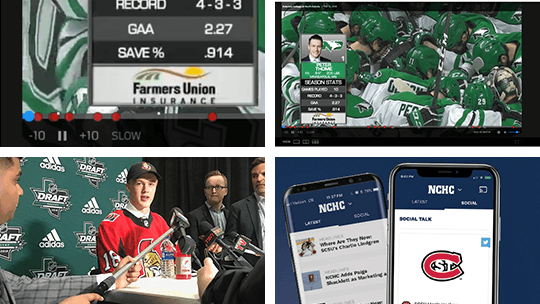 Fans can consume NCHC content on a wide selection of devices including their computer, native apps for both tablet and mobile (iOS & Android), Roku TV, Apple TV (4th generation or newer), Airplay, Chromecast and newly added Amazon FireTV. The NCHC.tv Conference Annual Subscription will get you access to over 140 live games over the course of a season, including select post-season games. Additional conference and school specific subscription packages are also available for purchase. Watch NCHC.tv on your PC, iOS, Android, Apple TV, Roku and Amazon Fire. Chromecast and Airplay also available. 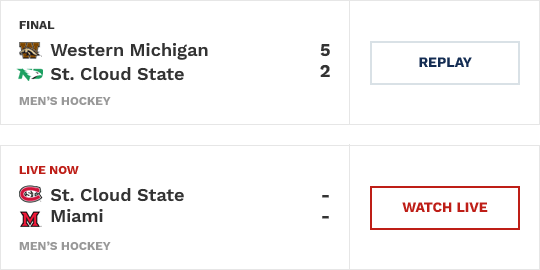 Only have an interest in watching live games featuring your favorite school? If so, we offer school-specific subscription packages which gives you access to your favorite school's games and video. Select your preferred school pass on the Subscribe page.